Added spinnerbait vibration means extra fish-attracting potency, which is part of why angling legend Jimmy Houston can’t stop talking about Booyah’s new Vibra Flx series. The bait’s frame is built from Vibra-Flx wire, which creates more vibration than standard stainless wire. In addition, Vibra-Flx wire offers flexible memory (meaning it stays tuned after several catches) and added toughness (twice as strong as standard stainless wire frames). 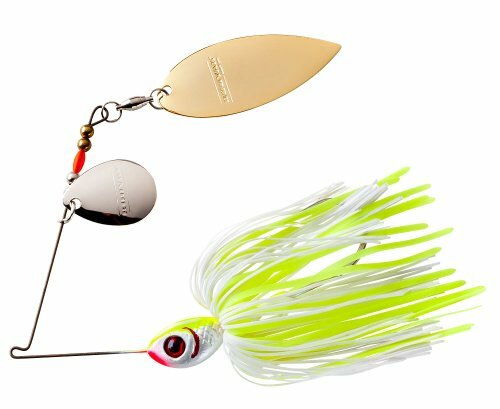 Every Jimmy Houston Vibra-Flx Spinnerbait comes loaded with great features, including counter-rotating blades and a new Silo-Tek skirt, which undulates like flat rubber, but because it is silicone, it is much more durable.